Barcelona coach Ernesto Valverde labelled Frenkie de Jong an "important addition" for the LaLiga giants after the midfielder's signing was confirmed. 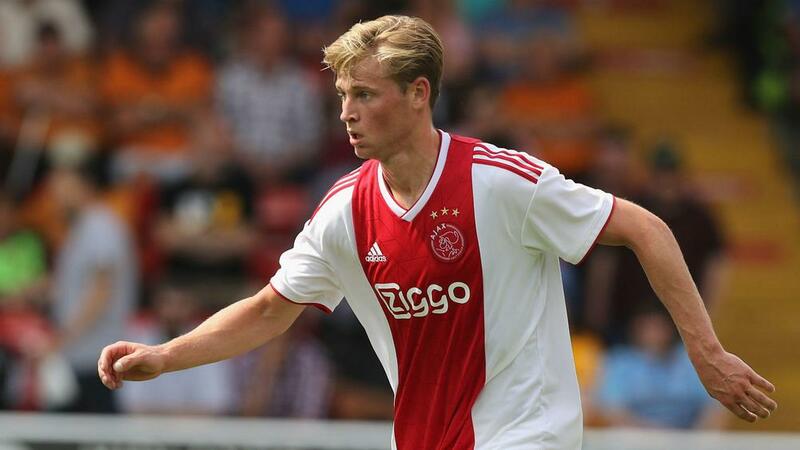 De Jong, 21, will join Barca from Ajax ahead of next season after a deal reportedly worth €75million was agreed by the clubs. The Netherlands international was also a target for Manchester City and Paris Saint-Germain, but opted for Barcelona. Speaking after his side's first-leg loss to Sevilla in the Copa del Rey quarter-finals, Valverde talked up the signing. "An important addition," he said. "A player with quality and a future that we think is a signing with a long perspective for Barca and we wish him the best. "His success will be the success of the club." De Jong has scored three goals and contributed an assist in the Eredivisie this season.